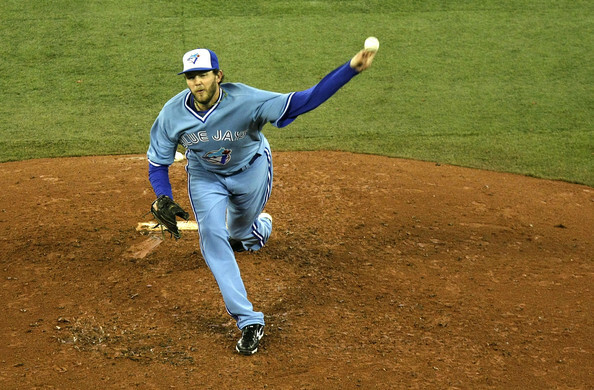 The Blue Jays will go back to featuring blue as their primary color when play begins in 2012. I know I’m very late to this party, but with football winding down and no more crazy Maryland football uniforms to discuss, it’s time to look at a few changes made in baseball over the offseason. We’ll start with the AL East where the Orioles and Blue Jays have decided to turn back the clock in their uniforms for the upcoming 2012 season. In both instances, there are slight variations and the looks get the Style Points seal of approval. 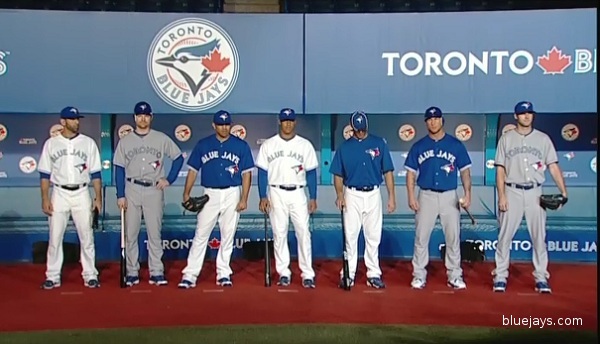 The Blue Jays have ditched the space-age type look they employed in recent times to use this more retro look. Tornoto had chosen to use a retro look for select home games recently, but these new permanent uniforms. The biggest difference here are the hats. The thick white stripe (if you can even call it a stripe) in the front of the hat will not be featured next season, but the same logo will be used. The logo on the uniform will also move from the middle of the jersey to the side, making it look cleaner and more organized. Overall, this is a very smart move by the Blue Jays. The black and silver look just never felt right. They are called the Blue Jays afterall, and the return of blue as the primary color is definitely a welcome change. The Orioles will introduce a new orange alternate and a retro hat for home games this upcoming season. 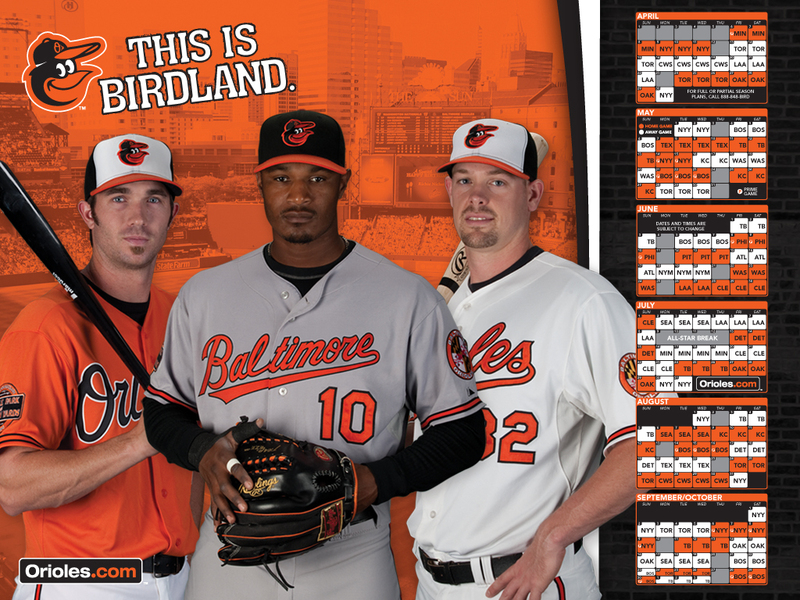 Meanwhile, the Orioles have gone retro as well. For a while, catcher Matt Wieters has featured a retro catching helmet. The one with the white middle and the cartoon oriole featured as the logo. I always thought it was really neat he was allowed to go that and now the rest of the Orioles can. 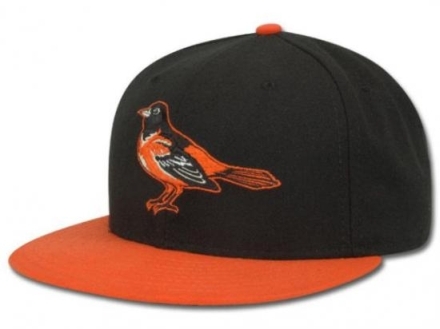 For home games, Baltimore will go back to the white and black hats with the cartoon bird, and for road games, they will go with a neat black hat with an orange bill that features this cartoon bird logo. The road hat is my favorite because it combines the retro hat with the black hat that was used with the actual oriole in recent years. Both of these changes should make play in the AL East very interesting this season, considering these two teams haven’t actually contended for a division title in the past decade.